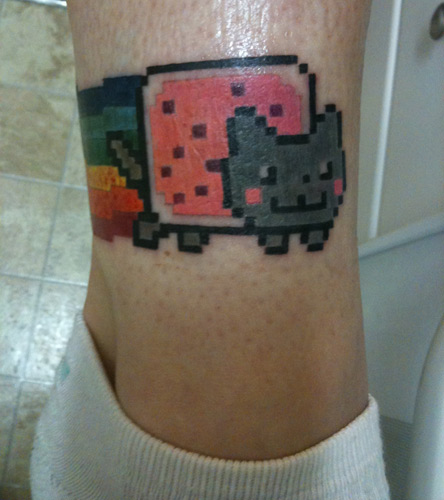 Recently I posted a picture of a Nyan-Cat Tattoo. Well, it turns out there’s more where that came from! This entry was posted in you so crazy! 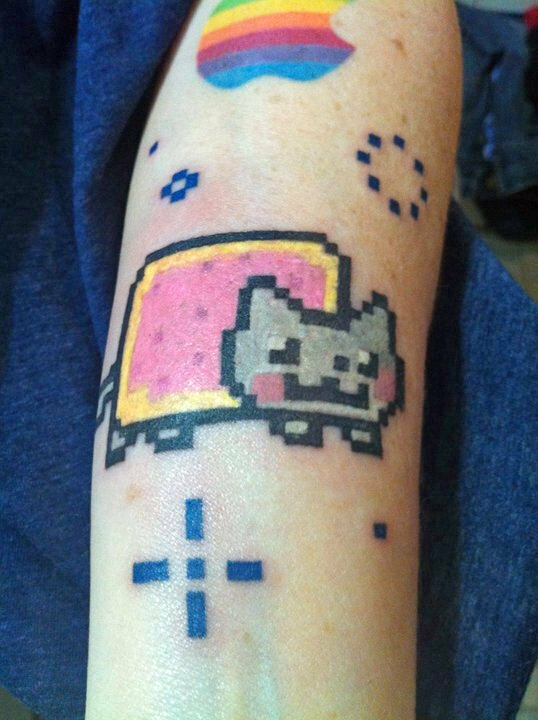 and tagged cat, nyan, nyan cat, tattoo. Bookmark the permalink. That last sentence is so true. I would love to get a tattoo, but I don’t really like something enough to have it be on me FOREVER. It freaks me out. Yeah, I just can’t commit to something so permanent like that! Can you imagine explaining one of these to your grand kids? Ohhhh, man! 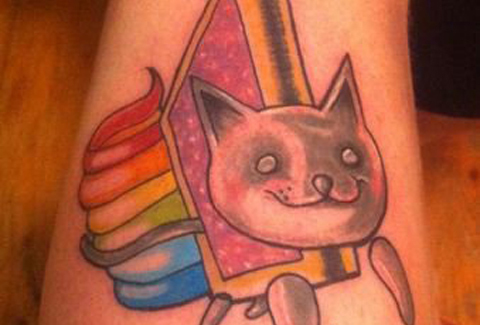 I know a few friends with regretful tattoos along those lines. I feel like this one would be regretful by the end of the summer, though–let alone 10 years!